Click a link on the calendar above for class descriptions and costs or for more information about upcoming events. We offer classes at all levels of knitting, crocheting, spinning, weaving, and needle felting. Click links on the calendar above for full class descriptions and costs. Please note that some classes have prerequisites and enrollment is at the discretion of the instructor. Please email us at info@purlescenceyarns.com or call (408) 735-9276 with questions. Private Lessons are priced based on the teacher. They are $50 - $60 per hour for the first student, minimum 30 minutes. Each additional student is an additional $10 per hour, to a maximum of 4 students per lesson. 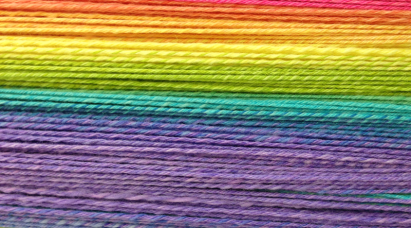 Please note that loom warping lessons are scheduled for an hour and a half for a rigid heddle loom and at least 2 hours for a shafted loom, depending on the loom size and warping complexity. Please allow us at least 7 days notice to schedule private lessons. If you are more than 15 minutes late for a schedule time, you will need to reschedule your lesson for a later time. Due to staff and customer severe allergies and sensitivities, please do not wear perfumes, scents, or highly scented products into the shop.